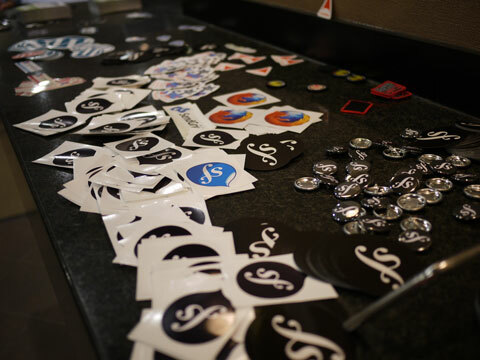 We’ve posted all the photos we took (with help from some of the attendees) of the event! You can view them below or head over to Flickr to access them directly! Stay tuned, at some point in the future we’ll get the videos published as well! Thanks for the Amazing Event! We say this every year, but it’s always true. 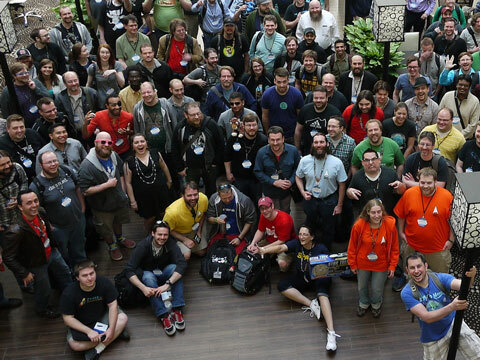 It’s the attendees, all of you, that work to make php[tek] the amazing event that it is each year. Stay tuned here for a few more updates before we are through. We are working on post-processing all of the photos and video that we took during the conference to get those posted, and will update here when we do. 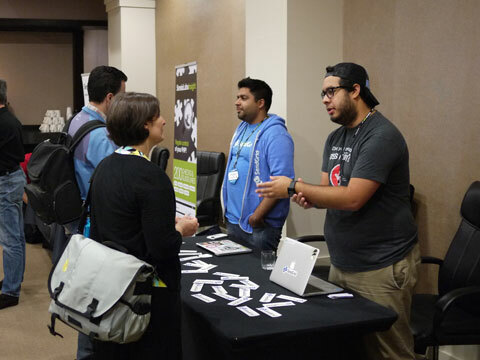 We announced that we are running php[tek] 2016 – but that we are changing venues because we’ve outgrown this one. 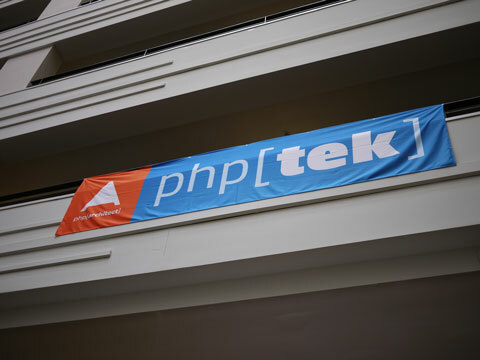 We will be hosting php[tek] 2016, from May 23-27th, in St. Louis at the Sheraton Westport Chalet. So it turns out that our venue hotel has just a few rooms left available, so we’ve gone ahead and made a group block at both the Holiday Inn next door, as well as the Best Western across the street. Full details on the availability of these new room blocks and how to book them is now posted over on our Location and Hotel page. As we do each year, we’ve created a mobile app to make your conference experience as smooth as possible. This app will give you access to a customized schedule, details on the sessions & speakers, local maps and much more. All cached offline so that even if your internet goes down you’ll always have your schedule. 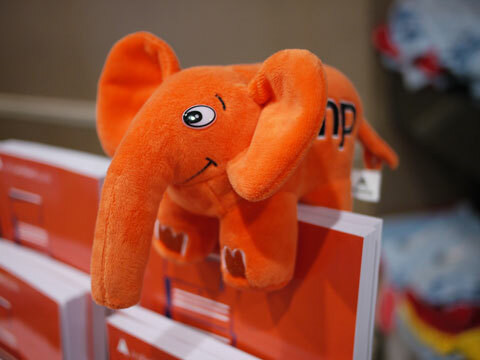 We don’t want you to panic, but php[tek] is going to sell out this year. We are working with the venue to try to squeeze in a few more people, but we are going to be setting a hard max on attendance. At this point we have 100 (or less) tickets available, and usually we sell more than that between now and the conference starting. So if you were dragging your feet on when to snag a ticket, now is absolutely the time to get in there before we have to cut off sales. 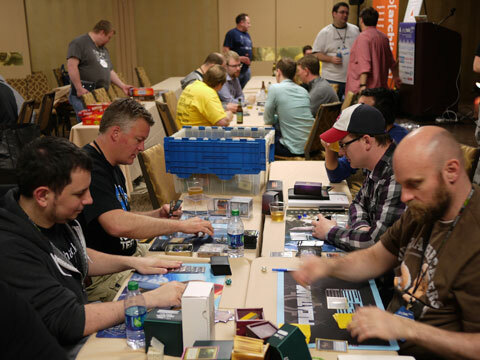 Also you will need to make sure to book your hotel, since there are only 2 weeks left to get the discounted hotel rate. Rates will go up on April 25th. 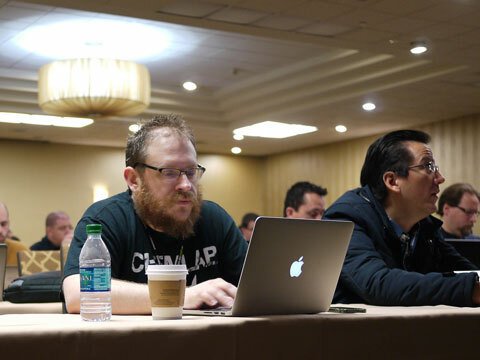 Unfortunately a vibrant member of the PHP community and one of our php[tek] 2015 speakers — Mike Dugan — has passed away. All of us at php[architect] send our most sincere condolences to his family and friends. Fellow Laravel community member Joe Ferguson has stepped up and offered to run a tutorial to replace the one that Mike was selected to present for us. Zeev Suraski, co-founder of Zend, one of the masterminds behind PHP 3, co-creator of the Zend Engine (PHP 4), and still a driving force in the PHP ecosystem, will talk about the future of PHP 7. Yitzchok Willroth, a veteran programmer and Talmudic scholar, will share the “Wisdom of Sages” and how it can apply to your professional development as a software developer. Jordi Boggiano, author of the infamously popular Composer tool will wrap up the conference by telling behind the scenes details of the Composer Open Source Project. Check out the full schedule for the rest of the talks as well!